In recent years, livetronica has increased in popularity via constant evolution and innovation. Since their debut in 2016, Sunsquabi’s growth in popularity has merited them high-profile appearances at festivals like Bonnaroo, an impressive feat for a group that was demoing and recording music in a basement only a few years ago. As they’ve transcended in popularity, the Colorado act’s sound has taken on an evolution as well, a transformation well-evidenced on their latest record Instinct. “Caterpillar,” released as a single last April, is a fiery, funk track that serves as an ode to the group’s earlier sound, with the guys jamming over funk and jazz riffs accented with electronic distortion and even violin by Anderson’s younger brother, Spencer. “Night Moth” is the climax of this metamorphosis of sound: a jam ballad, with high energy instrument playing paired with electronic synths and production that seem to dance around your ears. This intent of evolving their sound is evident on tracks like “Fisher Cat,” which features The String Cheese Incident’s Jason Hann. The song serves as a sonic sequel to their 2016 track “Keep It Real,” introducing fuzzy electronic synth lines into a more high-powered version of the original. 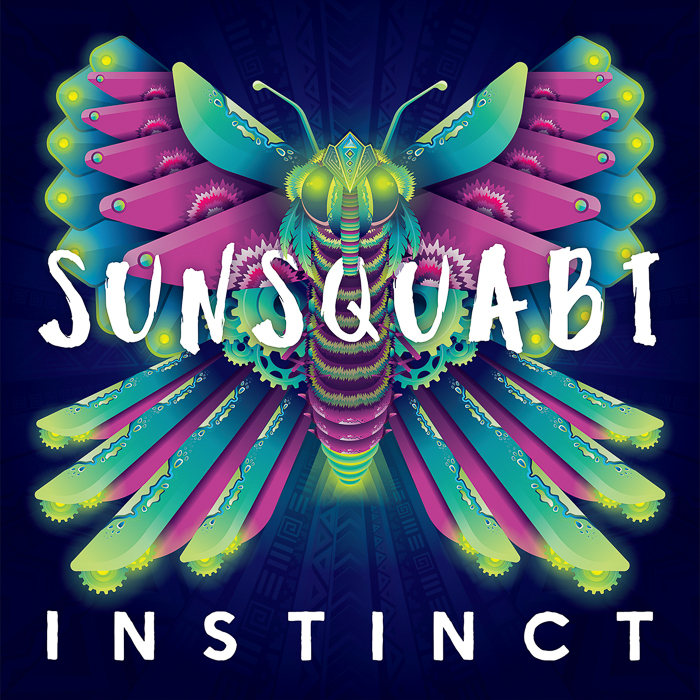 The days of simpler funk and jam-based riffs seem to be behind Sunsquabi, as the group is out to create a fuller and broader soundscape by cutting studio jam sessions into songs like the ones found on Instinct. The album is concrete evidence of the three-piece’s maturation, with a greater focus on using heavier electronica while still infusing the band’s characteristic take on funk and jazz onto each song.